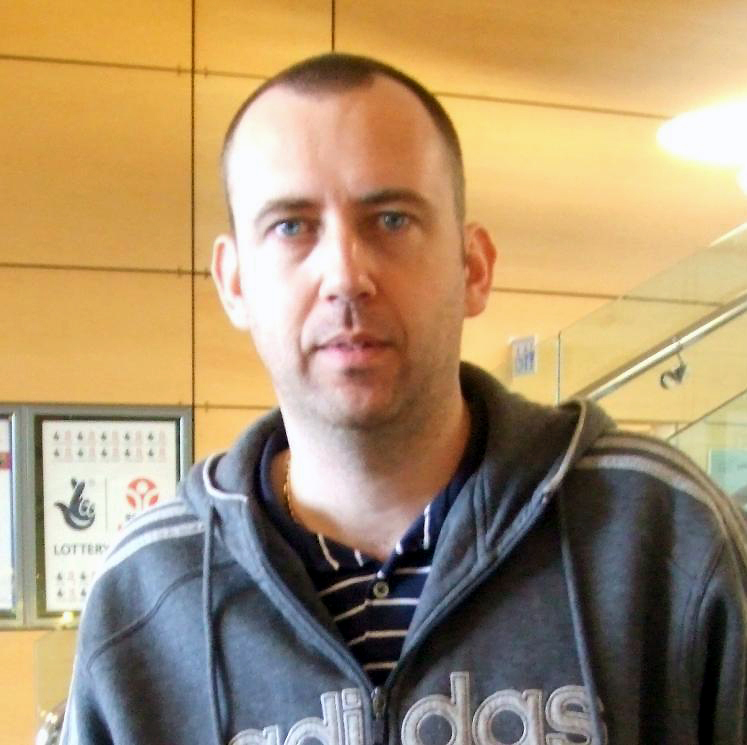 One of snooker’s all-time greats, Mark Williams at his best has the game to beat anyone – as he did in 2003 when at one point he held every BBC tournament at the same time. Having won all of the major tournaments on multiple occasions his place in snooker history is assured, though sadly he has found success harder to find in recent years. Williams’ is renowned for his long potting which at his peak was simply devastating. No matter how close his opponent left the cue ball to the cushion, Mark would generally pull out a screamer of a long pot which would set him on the way for another frame-winning break. The left-hander is also notorious for playing exhibition shots once the frame is won rather than going on to complete a century break as is the norm. Despite this however, he is still in the top ten in the all-time list of century makers with over 200 which shows just how good a player he is. 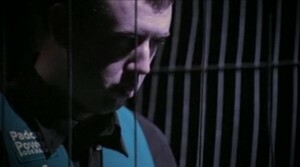 Mark first came to prominence in the early 1990’s at the same time as the likes of John Higgins and Ronnie O’Sullivan, though his career progression was not to be quite as rapid. As an amateur he lost in the junior event of the 1991 World Masters to Higgins, but gained some revenge to win the British U-16 title in the same year. Having added the UK U-19 title to that and reaching the final of the Welsh equivalent where he lost to Matthew Stevens, it was time for him to turn professional which he did for 1992/3. Although he failed to make a huge impression during his first few seasons on the tour, he was able to perform consistently enough to be able to move steadily up to 39th in the rankings by the end of the 1994/5. He also managed to qualify for the 1995 Benson & Hedges Masters by winning the Championship qualifying tournament. In 1995/6 however it was time for Williams to really make an impact, firstly reaching the quarter-final of the UK Championship and then taking his first ranking title by winning the 1996 Regal Welsh Open. 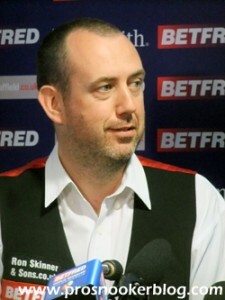 His performances over the course of the season were enough to see him sneak into the top 16 for the next season, despite not having yet reached the Crucible via qualifying. He followed this up the next season with victories in the Grand Prix and the British Open which moved him up into the top four of the rankings for the first time. In 1998 he added the Masters to his trophy collection with an amazing 10-9 win against his close friend Stephen Hendry following a re-spotted black in the deciding frame. In what was a riveting finale, Williams fell 9-6 behind at one point but he showed all his fighting qualities to defeat the Scot in the end. Following this success he began to make his mark at the World Championship, firstly making the semi-finals in 1998 where he lost out to defending champion Ken Doherty before going one better in 1999 where he was beaten by Hendry in the final. In 2000 however it was all to come together for Williams who following the first round exits of Hendry and O’Sullivan was presented with a great opportunity to run deep into the tournament. Having won his first three matches comfortably he faced 1998 champion John Higgins in the semi-final in what was truly a clash of the titans. Despite being 14-10 down coming into the final session, Williams produced some of his best snooker to run out the 17-15 winner. Higgins later said however that he had been unsettled by Williams failing to shake hands with him at the start of this session, something which “completely threw” him. Either way, this win earned Williams a place in the final against fellow Welshman Matthew Stevens where again the Crucible was to be the scene of another fightback. He came from 13-7 down to emerge as an 18-16 winner and become the first left-hander to won the World Championship. Despite winning the Grand Prix the following season, he failed to take any other trophies and surprisingly lost in the second round of the World Championship to Joe Swail. Although his form picked up towards the end of the 2001/2 season when he won back to back ranking titles in Asia, he was to lose the world number 1 spot to Ronnie O’Sullivan for the following season. 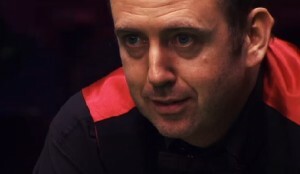 Having sought advice from former world champion Terry Griffiths however, he was back to his devastating best in 2002/03. During this season he won his second UK, Masters and World titles to regain the world number one spot in emphatic fashion. His path to the world title was relatively straightforward, even the final looked like going that way when he led Ken Doherty 11-5 going into the final day. Doherty produced a trademark fightback however to level it at 12-12 and 16-16 before Williams regained his focus and managed to win the last two frames. Following this glorious year however, Williams found tournament victories hard to come by. He did however manage to make his first 147 at the Crucible in the final frame of his match against Robert Milkins in 2005. This 147 is particularly notable for me as I was in the audience that day and it was the first and so far only 147 that I have seen in the flesh! Despite winning his first ranking tournament since his second World Championship at the 2006 China Open however, his form continued to be poor and at one point during the 2007/8 season he was provisionally ranked outside of the top 32. Although he managed to improve, he finished the season ranked at 22, outside of the top 16 for the first time in over a decade which meant that he would have to qualify for events at Prestatyn and the English Institute for Sport in Sheffield during 2008/9. While some other former top 16 players such as Matthew Stevens and Ken Doherty were struggling at the qualifiers, Mark managed to adapt relatively quickly, winning five of his eight opening round matches. Having upped his practice time and put the hard work in, he was not quite back to where he was in 2003/4, but was certainly playing to a higher standard than he had for a few seasons. Following runs to the quarter-finals of both the Shanghai Masters and the UK Championship, he also managed to qualify for the Crucible before suffering serious problems with his tip during his last 32 match against Stephen Hendry which ultimately led to his defeat. Still, he had at least done enough to get back inside the top 16 for 2009/10. Mark was not yet firing on all cylinders at the start of 2009/10 but back in the top 16 he was able to win his opening match in each of the first three events of the ranking event season. Most notably he was able to progress to the semi-finals of the Grand Prix, his first at any ranking event since the 2006 China Open before his run was ended by the resurgent Ding Junhui. By the 2010 Masters however it was clear that Mark was close to his very best once again as he defeated Ali Carter and Shaun Murphy to progress to the semi-finals for the first time since he last won the event in 2003. 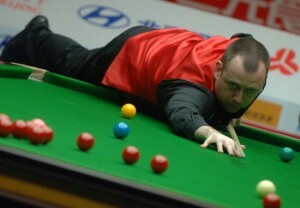 Although he was again to lose out to Ronnie O’Sullivan in a deciding frame, he was not to be demoralised and following a quarter-final appearance in his home tournament the Welsh Open, he then stormed to victory in style at the China Open to capture his first ranking event title in four years. Following this triumph he headed into the World Championship as one of the fancied men but thanks to his relatively low ranking was paired with second seed Ronnie O’Sullivan in the second round, a tough draw for anyone but arguably more so far Mark due to his poor head to head record against him. Like their Masters clash it was to be another close match but ultimately it was to be an inspired final session from Ronnie which was to prove the difference as he took a 13-10 victory. Despite this disappointment though it was a fantastic season overall for Mark who was now back inside the top eight and well placed to improve further in 2010/11. Picking up where he left off the previous season, Mark hit the ground running in 2010/11 as he won the first event of the new Players Tour Championship in Sheffield with a quick-fire 4-0 victory against Stephen Maguire in just 43 minutes. Mark continued to perform well during the early stages of the campaign, a semi-final appearance at the inaugural World Open tournament confirming his return to the very highest level of the game. 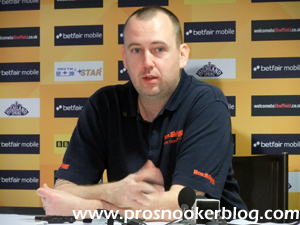 Mark also recorded his second maximum 147 break at the EPTC3 event in Russelsheim. 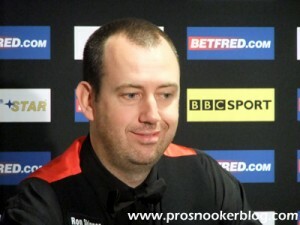 Moving on to the UK Championship in Telford he struggled to find his best form during the event but nevertheless was able to battle his way through to the final where he would face old rival John Higgins, just as he had a decade earlier. As it happened Mark’s form was to be much-improved in the final as he moved just one away at 9-5, but despite having left John needing a snooker in frame 17, it was to be the Scot who prevailed as Higgins completed a memorable comeback. 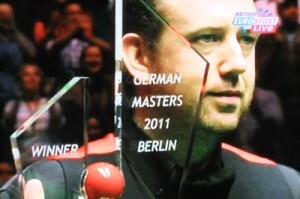 Mark to his credit however was able to bounce back in style by taking his 18th ranking event title at the revived German Masters tournament in Berlin. Producing some of his very best snooker throughout the tournament, Mark was rarely troubled and sealed the title with a 9-7 victory against Mark Selby. The season was to come to a climax for Mark at the Crucible as he entered the World Championship as one of the favourites for the first time in many years. Early on the signs were positive as he advanced to the semi-finals with comfortable victories against Ryan Day, Jamie Cope and Mark Allen, but unfortunately he was to again run into John Higgins who again was able to come back from behind to win en route to his fourth world title. Mark had however performed strongly enough during the previous two seasons to finish the campaign ranked at number one for the first time since 2004. Mark began the 2011/12 season in fine form with runs to the finals of the first two full ranking event tournaments in Australia and Shanghai, but surprisingly was to lose both, falling victim to comebacks from Stuart Bingham and Mark Selby respectively. Having performed so strongly during the PTC events the previous season, 2011/12 was to prove a different story as he won just seven matches during the competition and as a result failed to qualify for the Grand Finals in Galway. His results also meant that his 10-9 defeat to Selby out in Shanghai would see the man from Leicester replace him at the summit of the world rankings. Following the Shanghai final, Mark was to experience a difficult season, reaching just one further quarter-final at the German Masters, while losing to Ronnie O’Sullivan at the last 16 stage of the Welsh Open, China Open and finally the World Championship at the Crucible. As a result, Mark was to drop to number three in the rankings at the end of the season. Mark’s strongest result during the opening half of the 2012/13 season was to be a run to the semi-finals of the Shanghai Masters, where he defeated Mark Davis, Ricky Walden and Joe Perry, before losing out 6-4 to eventual finalist Judd Trump. Otherwise, he was to also reach the last four of the first UKPTC1 event in Gloucester, before his year ended on a low note with an opening round defeat to Mark King at the UK Championship in York. A quarter-final run at the China Open aside, the opening months of 2013 were to prove a struggle for Mark, culminating in a last 32 defeat to countryman Michael White at the World Championship. 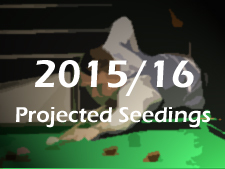 As a result, Mark would finish the season ranked 15th. 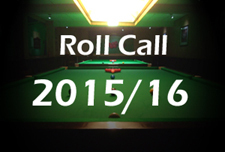 The 2013/14 season was to prove Mark’s most difficult in recent years, his best results at full-ranking events being three last 16 appearances, at the Wuxi Classic, Indian Open and on home soil at the Welsh Open in Newport where he lost out to Marco Fu. His season was not to be without silverware, as he defeated Mark Selby 4-3 to capture the ET2 event in Rotterdam early in the campaign, but ultimately the year was to end in disappointment as he lost 10-8 to veteran Scot Alan McManus in the final round of the World Championship qualifiers. As a result, Mark would miss out on a place at the Crucible for the first time in 18 years and would also finish ranked outside of the world’s top 16 in 18th place. Following a difficult previous season, Mark showed clear improvement during 2014/15 as he looked to secure a return to the top 16 and automatic qualification for events such as the Masters and World Championship. 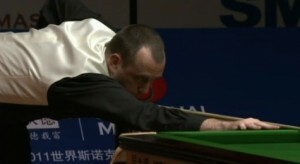 He achieved the first goal thanks in part to a strong run at the International Championship in Chengdu, defeating the likes of Ronnie O’Sullivan (for the first time in over a decade), on his way to the semi-finals, before losing one of the matches of the season against Mark Allen in a deciding frame. Needing as much prize money as possible to guarantee a place at the Crucible, the strong results kept coming after the turn of the year as he reached the semi-finals of the Asian Tour 3 event, before becoming the first Welshman to reach the last four of the Welsh Open since Dominic Dale in 2004, only to lose another decider against Leicester Ben Woollaston. 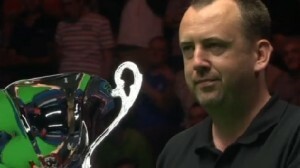 The tournaments kept coming thick and fast as he then made it through to the final of the Gdynia Open in Poland, losing out to Neil Robertson, before he became the youngest ever player to win the World Seniors Championship in Blackpool, defeating Fergal O’Brien 2-1 to win the over-40’s event whilst still aged 39. Further strong runs came in India and Thailand as he reached the semi-finals in Mumbai and at the Players Championship in Bangkok, losing out to Michael White and Joe Perry respectively. Having secured his place at the Crucible, Mark was to suffer a surprise 10-2 defeat to countryman Matthew Stevens in the first round, but he was able to finish ranked up four from the start of the campaign in 14th.